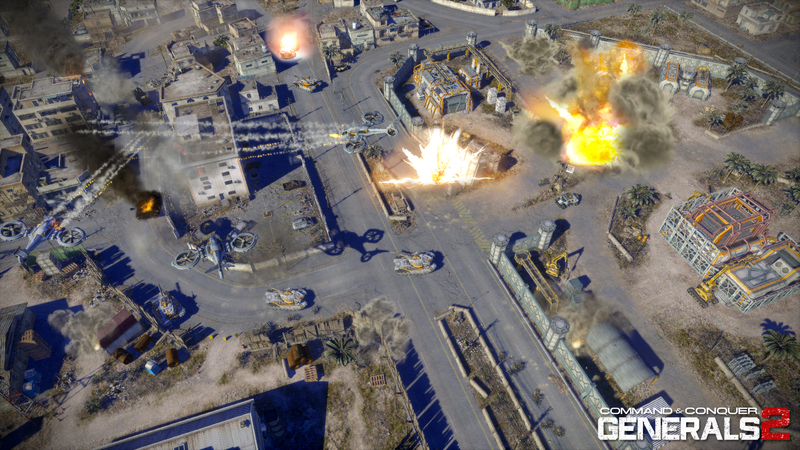 Command & Conquer Generals 2 will not be released in the form previously announced. Instead of Generals 2, EA will be producing a new "free to play" game titled simply "Command & Conquer." More details at C&C Labs. Last edited by Mike on Saturday, August 18, 2012 at 1:31:19 PM. EA has announced Command & Conquer Generals 2 is in development by Victory Games - now known as Bioware Victory. The game will reportedly use the Frostbite 2 game engine. Check out the trailer above, and this thread on the official forums for more. In the near future, world leaders are mere seconds from signing a global treaty and bringing an end to war as we know it when a devastating terrorist attack rips through the peace conference, killing all in attendance. In a world left with no politicians, diplomats, or activists, only the Generals remain. It's up to you to assume their roles, command their forces, and put an end to global terrorism once and for all. All-Out War — Take control of three unique factions, competing for resources, building up your base of operation, and leading massive batteries of tanks, soldiers, and aircraft into battle. Uncanny Sense of Realism — Frostbite 2 technology allows for visceral, visually stunning conflict at an epic scale. Incredibly detailed units and environments, dynamic physics, and exhilarating visual effects bring the battle to life in ways never before seen. This is the closest thing to real war without the consequences. New Ways to Dominate or Ally with Your Friends — Go beyond classic deathmatch with a selection of new multiplayer game modes, designed with both cooperative and competitive play in mind. 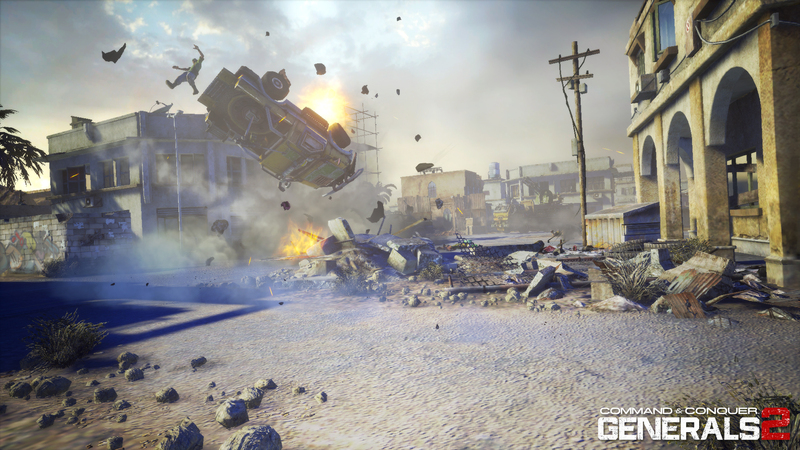 Thrilling Campaign — Command the war on terror in an electrifying single-player campaign. Experience the dramatic story from multiple perspectives — from heroic General to crazed terrorist — while engaging the enemy in pulse-pounding tactical combat. Ever-Evolving Experience — Enhance your game with an expanding array of downloadable content. From maps and units to factions, campaigns, and more, the fight against terrorism is deeper than ever. Last edited by Mike on Sunday, December 11, 2011 at 5:41:28 PM. There are 4 active users currently visiting Generals World. Copyright © 2002–2010 CNC Generals World. All Rights Reserved. The names EA, EA Games, and C&C Generals are copyright Electronic Arts, Inc.